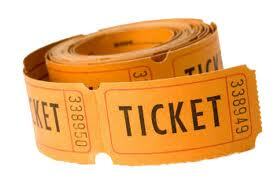 The new area might help us “get on a roll” with tickets we receive. The last term has made this more of a priority than ever before. My colleague Richard Steward and I are now a two-man team processing and responding to tickets and queries about Blackboard, Turnitin, classroom and presentation tools, and any other technology for teaching and learning with which we can feasibly grapple. Occasionally, we also find time to run a workshop or two! 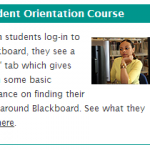 Blackboard takes up the most of our time though and that’s why our e-Learning Support materials are not only hosted on Blackboard but primarily focus on it too. One easy entry point for e-Learning support materials. All our training and help materials are accessible through the link in the leftmost section. There are links describing frequently asked questions which will take you into specific parts of those same materials (rather than off to some other support area). The middle section lists links to information and forms relating to the administration of your courses and how they are copied. A way to see what your students can see. 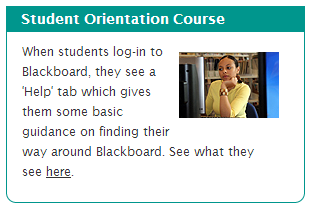 All the information mentioned above is targeted at staff; from now on students won’t even see an e-Learning Support tab. Instead, they will see a tab called “Help”, a name which we hope will make more sense to them. So the final, right-most section of the e-Learning Support tab will provide you with a way to see what they can see. The content in each area is not complete. We will continue to work throughout the year to fill in gaps that exist and expand on areas which currently look a little bare. The difficulty for us lies in providing something thorough enough to be useful but succinct enough for us to maintain as Blackboard changes. If there are any areas you find lacking or unsatisfactory, our e-mail address is still operational so feel free to continue to send your questions to elearning-support@reading.ac.uk. If you have any thoughts specifically about the new e-Learning Support tab, be they complimentary or reflections on how we might improve what we’re offering, do feel free to contact me directly through g.i.s.pursey@reading.ac.uk. This entry was posted in Dissemination, Training & resources and tagged Blackboard (VLE), Centre for the Development of Teaching & Learning (CDoTL), E-Learning Support, E-Learning Team, Guy Pursey, Remedy, Richard Steward, Turnitin, VLE. Bookmark the permalink.